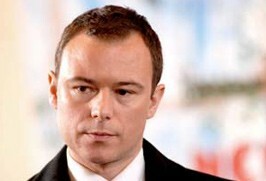 TV regular Andrew Lancel, star of ITV’s The Bill, has signed up to become a patron of Chernobyl Heart. The busy actor, who lives with his family in London, has always been a passionate supporter of children’s charities. Said Andrew: “I’m very proud to be associated with Chernobyl Heart, and honoured to be a patron. I hope I can be worthy and prolific in the exciting times ahead. Andrew is Chernobyl Heart’s first patron.